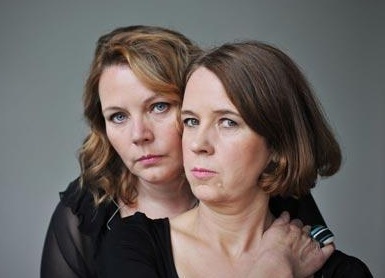 Via Vicki Pepperdine’s Twitter feed, I learned that she and Joanna Scanlan will be the stars of a “BAFTA Masterclass” @ Broadway Cinema, Nottingham, next Wednesday… during which the two will discuss writing and acting in Getting On, and take part in a Q&A session. Crikey! Sounds like a great night out… although I assume that ultra-geeky questions like “Can you show me your impression of a fire?” or “Do you know where I can buy a bootleg CD of your radio show?” will not be appreciated. It’s been yonks since I last ventured up to the Midlands, but I have very fond memories of Nottingham from my student days. Browsing for comics in Page 45… trawling for s/hand music in Way Ahead… feeling far too sweaty and dorky to venture into Ice Nine and the Goth shop opposite it… dancing like an idiot at Rock City… sigh. Good times. This entry was posted in Rants about TV and tagged Getting On, Joanna Scanlan, Nottingham, Vicki Pepperdine. Bookmark the permalink.